What makes a perfect picture book? A great story. Beautiful pictures. Cuddly friends you’ll fall in love with. Well – these classics have all of those things. What’s more, they also have that hard to describe – but very special – quality that makes you feel cosy and merry inside whenever you think about them. (We hope you know exactly what we mean. But if you’re still not sure, these books will show you.) 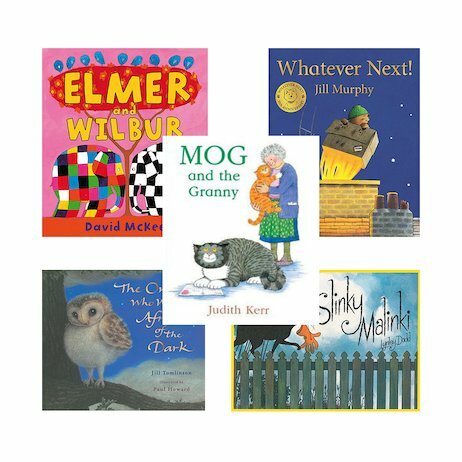 Best-loved authors like Judith Kerr and Jill Murphy. Adorable friends like Mog and Elmer the elephant. Funny, sweet and as warming as hot cocoa: tales to make you glow from head to toe.